The Congress on Saturday demanded that Prime Minister Narendra Modi unfollows trolls on social media. Launching a social media campaign titled #PrimeMinisterUnfollowTrolls, the Congress used Social Media Day to tell the PM that some users “blessed” to be followed by him harass women online. But what would be the best way to ask the PM to unfollow the handles that engage in vitriolic trolling of those who disagree with their ideology? A song, perhaps! On Saturday, 30 June, the Congress posted a video showing some members of the party’s social media team singing a song set to the music of the iconic Beatles number “Let It Be” with lyrics that highlight the vicious abuses and threats that are hurled by the trolls. “Tired of online trolls, the women (and a few men) of the Congress social media team have put together a video making a collective plea to the Prime Minister @narendramodi this Social Media Day. Do watch,” read the tweet containing the video. 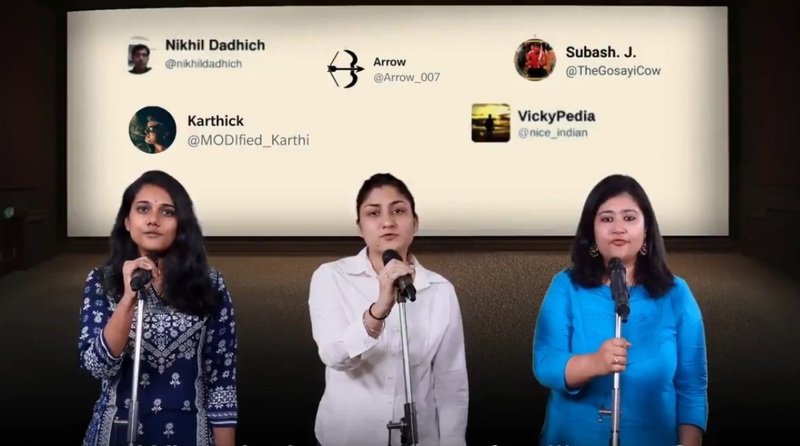 The song begins with a message in the background, “This Social Media Day women have something to say to @narendramodi.” As the song proceeds, various handles of alleged trolls are shown in the background as well as clips of some hateful comments on various social media platforms. Through the song, the Congress alleges that the trolls are “Sanghis” and are “followed by Modi-ji”. It ends with a call to the Prime Minister to “be a real PM unfollow them please”. “The social media community has increased to 226 million users in India of which only 23% are women. 1 of the major reasons for few women users is excessive online harrassment. Many of these trolls in India are ‘BLESSED to be followed’ by the PM.#PrimeMinisterUnfollowTrolls,” read a tweet posted by the West Bengal Congress. The PM has been previously criticised by Opposition party leaders including Trinamool Congress MP Derek O’Brien and some senior journalists for following certain handles that post objectionable comments against those who disagree with their ‘saffronised’ ideology. One of the most recent incidents was when some social media users severely criticised External Affairs Minister Sushma Swaraj for her ministry’s decision in the passport case of an interfaith couple in Lucknow. Reports say that some of those handles are reportedly followed by the PM. Earlier today, the Prime Minister took to Twitter to comment on the tremendous change social media has brought about in the world. “Greetings on #SocialMediaDay! The world of social media has played a key role in democratising our discourse and giving a platform to millions of people around the world to express their views and showcase their creativity,” wrote the PM on Twitter. “I would particularly like to congratulate my young friends for their innovative usage of social media. Their frank method of conveying opinions is extremely endearing. I urge youngsters to continue expressing and discussing freely. #SocialMediaDay,” tweeted the PM. Modi came to power at the Centre with a massive mandate in 2014. 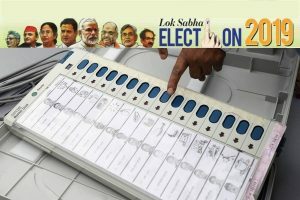 The success of the Bharatiya Janata Party (BJP) in that year’s Lok Sabha elections has been attributed to an effective use of social media besides other traditional strategies. With 43.2 million followers on Twitter, Prime Minister Modi is the third most followed political personality in the world after former US President Barack Obama and current US President Donald Trump. But a report released by Twitter Audit in February 2018 revealed that he was also among the world leaders with a very high number of fake followers. “Everyone should learn from social media. I adopted social media as a source of information, as a highway that helps me connect with the masses,” Modi had said in April 2014, just before coming to power.